Benue State Governor, Samuel Ortom, has denied attributing the 2011 illegal employment in the state to his predecessor, Gabriel Suswam. The state government was reacting to the information being circulated that Governor Ortom yesterday attributed the 2011 illegal employment discovered in the Benue State Local Government system to Suswam. Tahav Argezua, Special Adviser to the governor on Media and ICT, said his principal was misquoted. 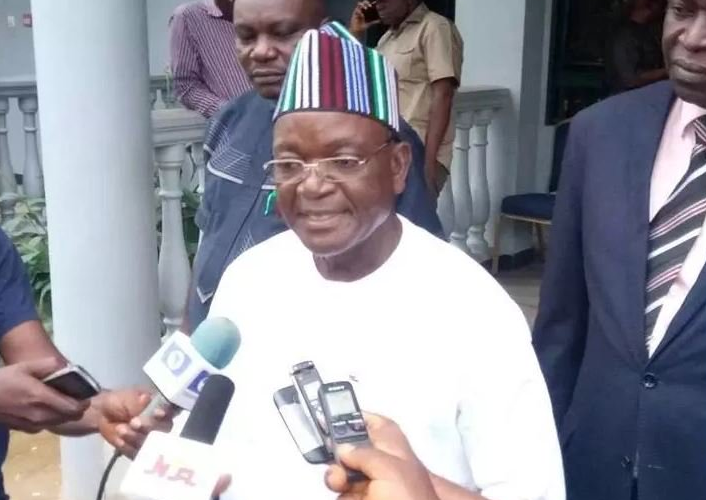 He said, “While responding to a caller on the Harvest FM radio program, Democracy and the People, Governor Ortom did explain that local government staff employed in 2011 had problems because their appointments were illegally made. “He neither mentioned the name of his predecessor nor attributed the employment to him. “In fact, a verification committee found out that Governor Suswam did not approve the recruitment of such staff hence the classification of their employment as illegal. “The Governor’s approval was needed to validate the appointments. However, Governor Ortom stated during the radio programme that he had directed the compilation of names of retired local government staff so that they could be replaced with some of those employed in 2011. “The programme has been recorded and anyone can cross check the above facts. “The statement from one Bede Bartholomew purporting to be speaking for the former Governor is therefore, misleading, mischievous, baseless and false. “Findings have also revealed that he has not been recruited or authorized to speak for the former Governor.